I purchased a a pair of LED lamps through eBay - they were less than $50. I chose these in particular because they are clear and change to red only when turned on so they are quite discrete in appearance. 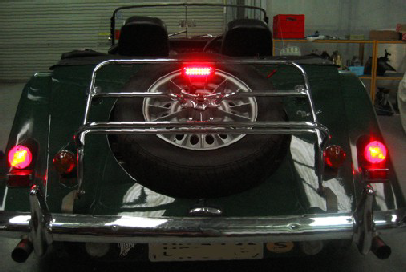 On the '75 Plus 8 (pictured) I have used the luggage rack as a mounting point for the light. This is fine but it does mean that when carrying luggage the light is obscured. However, for the majority of the time it is an effective high intensity stop light. I would like to design an adjustable high level light using this as a basis so that even with luggage there would be an effective high level light. Please let me know if you are interested in this idea. 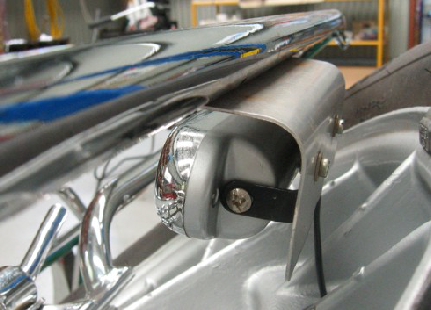 Below: Light is housed in a simple piece of bent aluminium sheet which is secured to the luggage rack by two self-tapping screws. Lights are connected to the normal stop light circuit through a waterproof plug. A friend asked me to make a high level brake light for their 1985 4/4 4 seater. 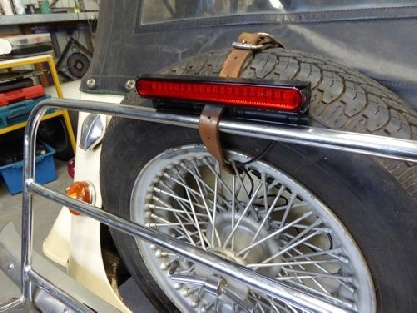 With the upright spare wheel this required a different approach so I made a light which would fit above the luggage rack and blend in with the top of the spare wheel. 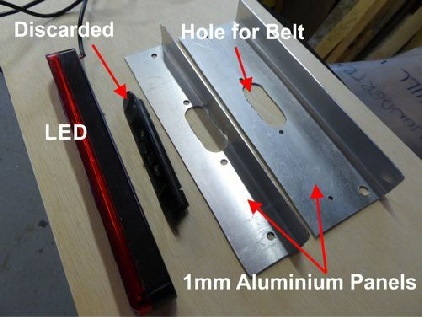 The red LED strip light was purchased from China on eBay for the grand price of $12. As per the photos I fabricated two small panels from 1mm aluminium and these were riveted together and painted in satin black. I removed a small attachment device on the back of the LED and used black Sikaflex to firmly glue the light in place and to waterproof it. 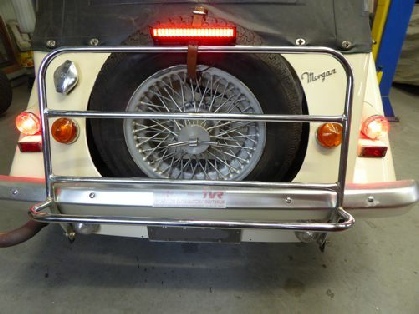 The whole unit was attached to the luggage rack using strong rivets. 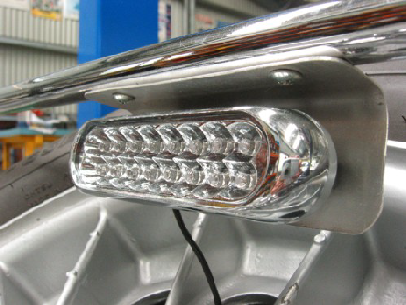 Electrically the LED was wired through a waterproof plug to the rear brake light.